Dangerhouse Volume One collects many of the great songs from that legendary 1970s punk label. The album features songs from the Eyes, X, Black Randy, Avengers, Dils, Deadbeats, Bags, and more. 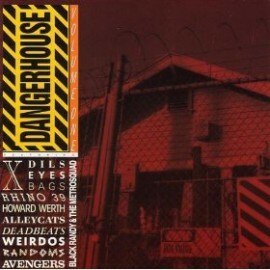 It even has an unreleased song that never came out on any of the original Dangerhouse releases! Colored vinyl.